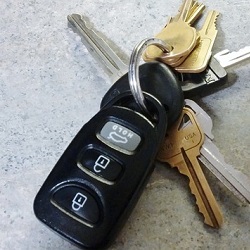 Transponder key programming is vital for customers that have chips in their keys. We know how to program car keys so that they consistently work for your vehicle. When we replace car keys , we have to program them to work on your specific car and meet all security requirements. Programming keys is one of our specialties so you can count on us to make sure that your vehicle is able to start. We offer reliable local auto locksmith key programming services. We can conveniently come to your location to program car keys. You can count on SlimJim.Me Locksmith to be there for you at any hour of the night or day. We take pride in our customer service skills and always treat our customers with respect. We offer honest and transparent pricing so that there are no surprises, and we work as quickly as possible to get our customers back on the road again.